You probably know ginger as a common ingredient that adds heat to foods, but do you know how useful it is for your health? Adding ginger to your diet can give you a host of amazing health benefits. That’s why I recommend my patients to: Eat More Ginger! Ginger has been used as a spice and medicine for more than 5,000 years.1 It’s a staple of Indian and Chinese cuisine. The part of the plant we eat is called the rhizome – the stem of the plant that forms roots underground. It can be eaten fresh, or preserved by drying or pickling. Research from the University of Georgia showed that ginger may help reduce muscle pain.3 Participants in two separate studies took ginger supplements daily. The trials showed that taking ginger reduced exercise-induced muscle pain by 25 percent. This is likely due to ginger’s anti-inflammatory properties. Recently, researchers have found that ginger can also treat asthma symptoms, lower blood pressure, and even improve cognitive functioning.4 Given all the health benefits of ginger, it’s no wonder many people are looking for ways to eat more of it. Although supplements are available, eating ginger can be a delicious way to get – and stay – healthy. 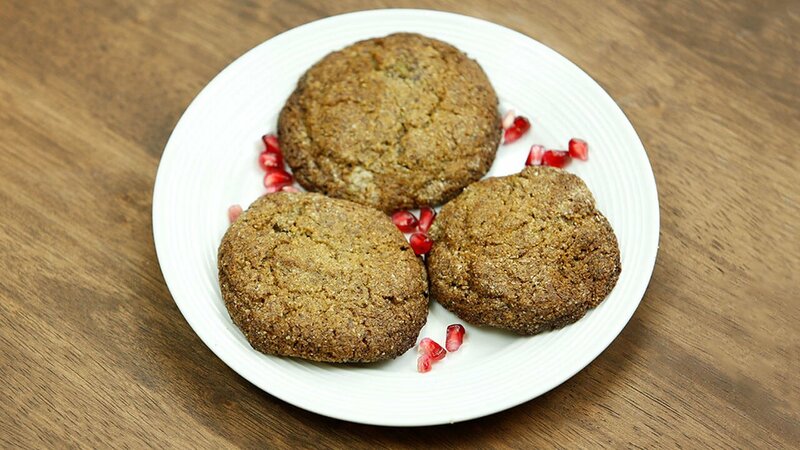 5 Tasty Ways to Eat More Ginger! Kimchi is available in the refrigerated section of many larger grocery stores or Asian markets. If you can’t find kimchi in your store, or if store-bought kimchi is too spicy for you, you can make your own. Eat kimchi alone as a spicy side dish, or add it to stir-fries, fried rice, eggs, or even pizza.6 You can also use it on hot dogs and burgers in place of sauerkraut. 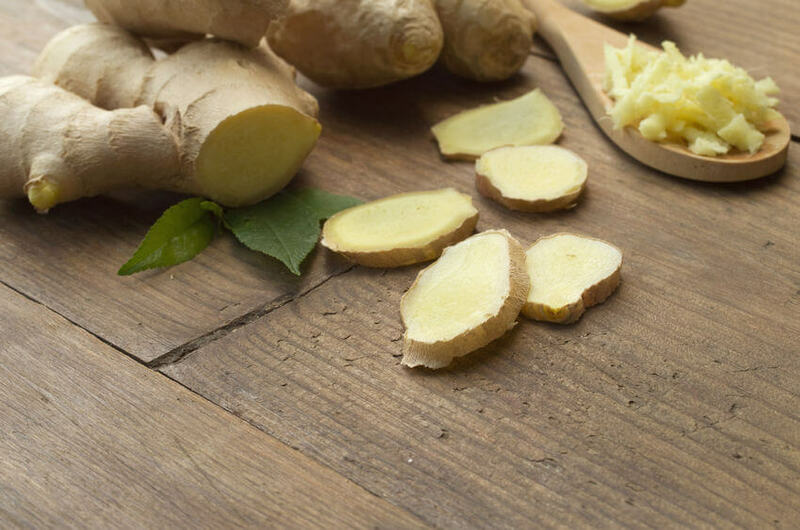 Ginger’s perfect zing makes it a great ingredient for cold beverages, such as smoothies and juices. It adds just the right amount of tartness, masking the bitter taste of some healthy greens. When adding ginger to cold drinks, a little goes a long way. About ½ inch of fresh, minced ginger is the perfect amount for a single serving. Using your blender or juicer, combine ginger with kale and spinach. Ginger is also great for hot drinks, such as tea. To make ginger tea, peel a piece of ginger, then cut it into five slices.7 Put the ginger in a pot with two cups of water, and boil it for at least 20 minutes. Strain out the ginger slices and discard. You can drink the tea on its own, or add lime juice, honey, or agave nectar for a sweeter taste. Add raw ginger to homemade salad dressing for tangy salad. A simple way to make salad dressing is to use ¼ cup of oil and ¼ cup of vinegar. Vary the types of oils and vinegars according to your tastes. 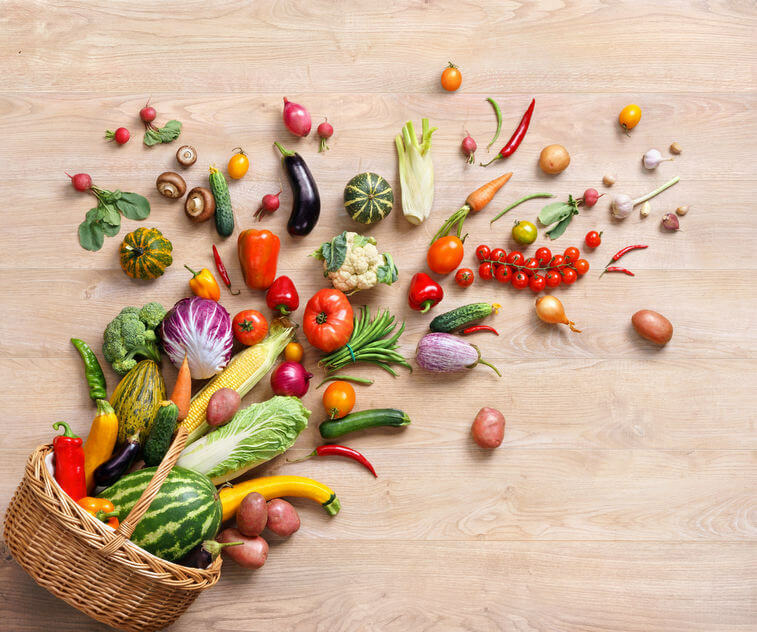 For an Asian dressing, try rice vinegar and olive oil.8 Add the oil and vinegar to your food processor or blender, and put in a 1-inch chopped piece of ginger. Add other seasonings, such as salt, pepper, soy sauce, or garlic, as you like. Blend until the dressing reaches your desired consistency. You can also add ginger to stir-fries. 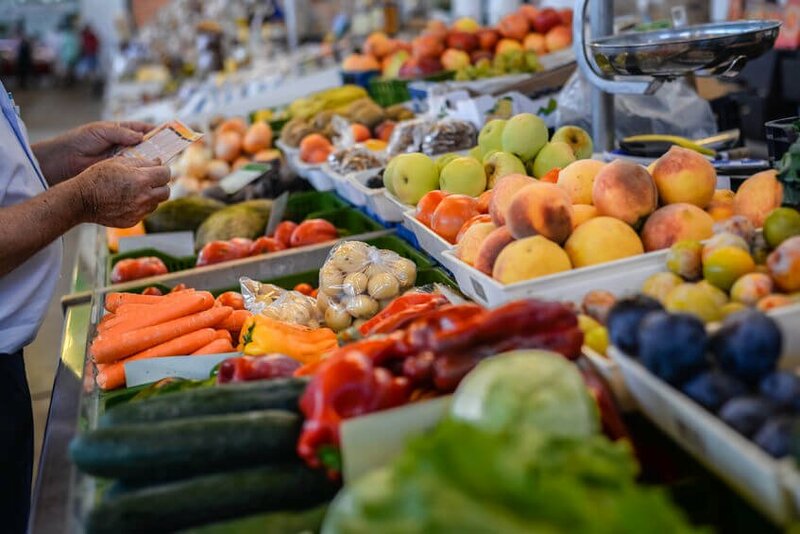 It pairs well with carrots, broccoli, onions, garlic, mushrooms, bean sprouts, and many other vegetables. Chicken and beef (only pasture-fed!) also combine well with ginger. Peel the ginger and then grate it into your stir-fry as it cooks. The longer you cook ginger, the less strong it will taste. If you like it spicy, add ginger near the end of your cooking time.9 Other seasonings, such as soy sauce, will help bring out the ginger’s flavor. We think of ginger as an ingredient in savory dishes, but it can also add flavor to sweets. 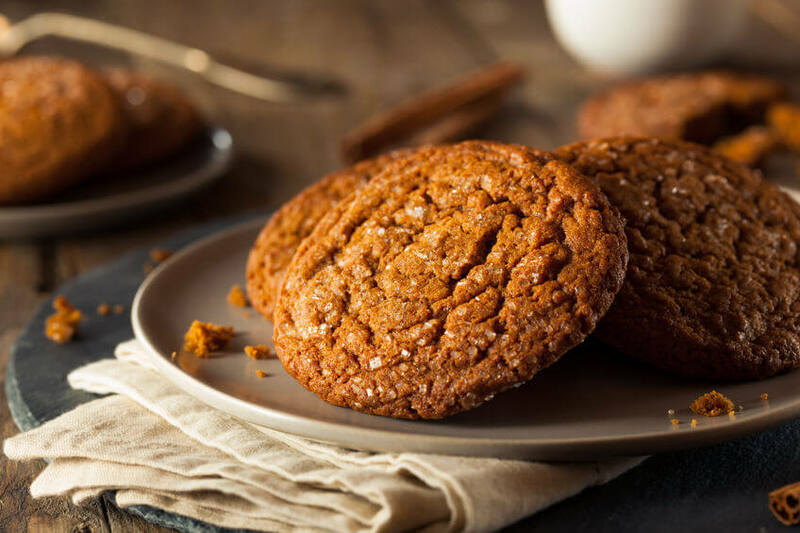 Gingerbread cookies are classic Christmas treats (click here for Dr Gundry’s gluten-free cookie recipe). Many baked goods recipes call for ground ginger. You can also use fresh ginger in muffins, cakes, scones, and other baked goods— such as Dr. Gundry’s healthy microwave mug muffins. Now you know ginger is good for you in so many ways. For better health, try sneak it in your diet and eat more ginger whenever you can—including ginger supplements. Drinking ginger tea is also a great way to receive its health boosting benefits as well. Use these ideas as a jumping off point, and you’ll discover even more ways to eat more ginger. 1. Bode, Ann, and Zigang Dong. “The Amazing And Mighty Ginger”. Ncbi.nlm.nih.gov. N.p., 2011. Web. 18 Apr. 2017. 2. Farzaneh Saberi, Mahboobeh Taebi. “Effect Of Ginger On Relieving Nausea And Vomiting In Pregnancy: A Randomized, Placebo-Controlled Trial”. PubMed Central (PMC). N.p., 2014. Web. 18 Apr. 2017. 3. “Daily Ginger Consumption Eases Muscle Pain By 25 Percent, Study Suggests”. ScienceDaily. N.p., 2010. Web. 18 Apr. 2017. 4. 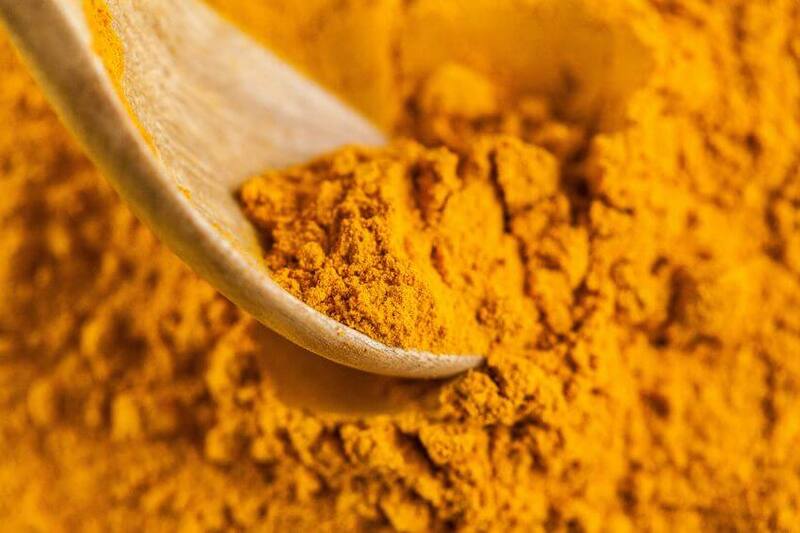 “Ginger Compounds May Be Effective In Treating Asthma Symptoms, Study Suggests”. ScienceDaily. N.p., 2013. Web. 18 Apr. 2017. 5. “Napa Cabbage Kimchi Nutrition Facts & Calories”. Nutritiondata.self.com. N.p., 2016. Web. 18 Apr. 2017. 6. “20 Ways To Get Your Kimchi Fix”. The Huffington Post. N.p., 2014. Web. 18 Apr. 2017. 7. 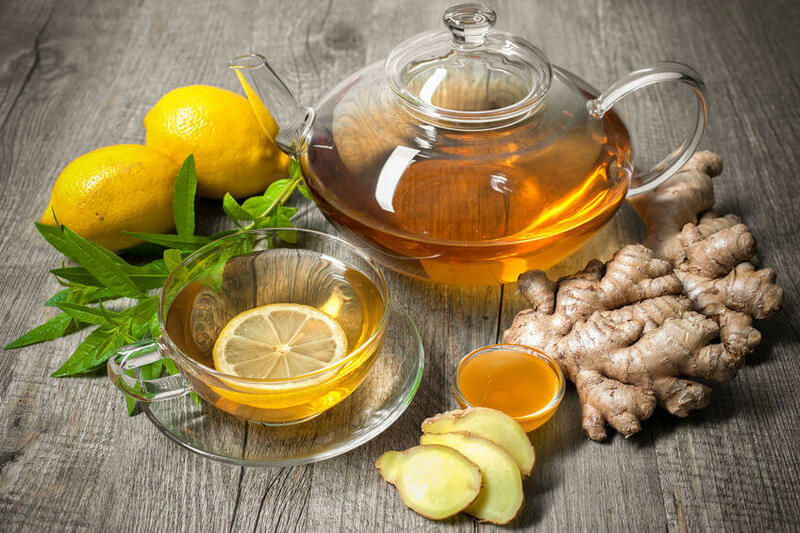 “Delicious Homemade Ginger Tea”. The Spruce. N.p., 2017. Web. 18 Apr. 2017. 8. Company, The. “Miso-Ginger Dressing Recipe”. NYT Cooking. N.p., 2016. Web. 18 Apr. 2017. 9. “How To Cook Stir Fry With Ginger Root”. Our Everyday Life. N.p., 2017. Web. 18 Apr. 2017.